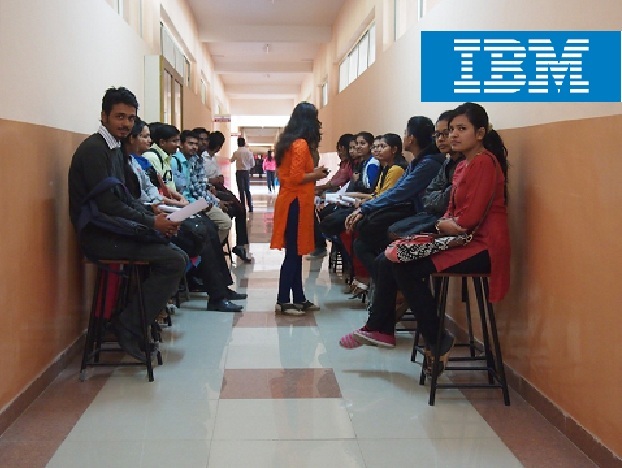 IBM Mega Campus Recruitment Drive for 2015 and 2016 batch pass out students is scheduled on 03-04-2017 and 04-04-2017 (If the drive extends to 2nd day) at 9:00am at Pimpri Chinchwad college of Engineering & Research (PCCOE&R), Ravet Pune. Deadline for registration is 5:00pm on 22nd March 2017. We will send all the registered students data to IBM. Company will send invitation mail to all the eligible candidates who will register till 22nd March 2017 on www.rawandale.com But only the eligible students will be allowed to appear for the recruitment drive (non eligible students should not register). International Business Machines Corporation (commonly referred to as IBM) is an American multinational technology company headquartered in Armonk, New York, United States, with operations in over 170 countries. The company originated in 1911 as the Computing-Tabulating-Recording Company (CTR) and was renamed "International Business Machines" in 1924. As a trusted partner with wide-ranging service capabilities, IBM helps clients transform and succeed in challenging circumstances. The diversity and breadth of the entire IBM portfolio of research, consulting, solutions, services, systems and software, uniquely distinguishes IBM India from other companies in the industry. IBM manufactures and markets computer hardware, middleware and software, and offers hosting and consulting services in areas ranging from mainframe computers to nanotechnology. IBM is also a major research organization, holding the record for most patents generated by a business (as of 2017) for 24 consecutive years. Inventions by IBM include the automated teller machine (ATM), the floppy disk, the hard disk drive, the magnetic stripe card, the relational database, the SQL programming language, the UPC barcode, and dynamic random-access memory (DRAM). Global Technology Services (GTS) brings together all of IBM's worldwide service delivery capabilities for Strategic Outsourcing with strong local and regional management teams supported by a set of key global competencies. The Interviews may also be extended on 4th April 2017.